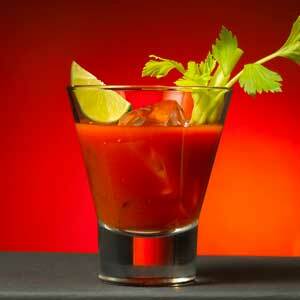 Stir bloody mary mix and vodka together. Add a dash of hot sauce, Worcestershire sauce, and a splash of Jeff’s Garden Olive or Pepper brine. Pour over ice in a highball glass. Garnish with your favorite Jeff’s Garden Peppers and Olvies. Finish with a stalk of celery.